The Queen publishes her financial accounts today, showing the cost of keeping the monarchy. The figures relate to 2011/12 and concern funding provided by the taxpayer to finance the official duties of the head of state. The accounts for the 2010/11 financial year revealed the Queen's official expenditure fell by 5.3% from £33.9 million to £32.1 million. The Queen's Civil List spending fell from £14.2 million to £13.7 million, while there was a cut in spending on property services from £15.4 million to £11.9 million. Royal travel costs rose from £3.9 million in 2009/10 to £6 million in 2010/11. Royal finances are in a transitional phase as the old system is phased out and a new Sovereign Grant funding model is introduced. It will replace money from the Civil List, Government funds which cover the official expenses of the Queen and her household, and grants-in-aid which pay for royal travel, the upkeep of royal palaces, and communication and information services. Under the new grant, the Queen will receive 15% of the profits from the £6.7 billion Crown Estate. The grant for the 2012/13 financial year has already been set at £31 million but for 2013/14, when the new formula begins, it is estimated to be worth £34 million. Accounts published by Clarence House last week showed the cost of the Prince of Wales and his family to the taxpayer had risen by more than 10% during the last financial year. Charles's accounts showed his income from grants-in-aid and Government departments rose from £1,962,000 to £2,194,000, an increase of £232,000 during 2011/12. The figures covered the Duchess of Cambridge's first full year as a royal but her cost to the taxpayer and to the Prince - who funds much of her public work and official clothes - was described as "fairly marginal" compared with the overall total by a royal aide. Cash generated by the Duchy of Cornwall - the landed estate given to the heir to the throne to provide him or her with an income - went up by 3% to £18.3 million. Arizona led the nation in small business employment growth for June, growing at double the U.S. average. Arizona small business employment increased by 0.6 percent in June, according to a new report from Intuit based on payroll data from 150,000 small businesses across the country. Nationally, small businesses added about 70,000 jobs, a 0.3 percent increase, during the same time period from May to June. Small businesses in Arizona and nationwide have slowly increased hiring as revenues have begun to approach pre-recession levels. However Susan Woodward, founder of Sandhill Econometrics, described the growth as tepid. “Things are looking up, but they are not looking up as far as they could,” Woodward said. Overall, seasonally adjusted revenues decreased slightly in May, but were higher than May of last year. Woodward said she would be surprised in revenues did not increase in July. Across the country compensation also increased 0.5 percent in June from the previous month, reaching an average of $2,763 per month. Average employee hours worked also increased 0.3 percent. Compensation increases could be a good sign, as average pay has remained flat until recently, with slight increases occurring over the past few months. These rising numbers indicate that small businesses may be regaining some confidence about hiring. In the past year, national small business hiring increased by 4.1 percent nationally. Although the overall increases were slow, the fact that the construction and real estate industries experienced growth could be a good sign for the overall economy, according to Woodward. Employment in the construction sector increased by 0.5 percent in June. Real estate employment grew by 0.1 percent. Across the African continent, internet penetration is low, computers are often too expensive to purchase, and online business transactions can be logistically complicated to execute. But the surge in mobile phone use - there are currently 695 million mobile phone subscribers in Africa - has given Africans a simple and pervasive means of sharing information and conducting business. In recent years, a few innovative African companies have found ways to harness the e-potential of mobile commerce and information sharing, changing the way in which Africans communicate and conduct business. SlimTrader, founded by Nigerian Femi Akinde, is an e-commerce firm that is meant to ease the exchange of goods and widen the online markets for Africans. Mr Akinde and the SlimTrader team created Mobiashara, a mobile technology that allows users to search for and purchase products via text message. This technology provides retailer's information and inventory, and also partners with mobile payment providers such as M-PESA and MTN so someone can make a purchase with a press of a button on their mobile device. With partners such as Aero Airlines, SlimTrader even facilitates once complicated transactions such as buying plane tickets. Umuntu Media is another African-based host website that caters to the mobile world. Umuntu was founded only one and a half years ago by Johan Del, a native of Namibia. The idea of Umuntu, Mr Del explains, is to "close the local content gap, to provide users with information that is useful to them." Umuntu provides local news, job listings, and directories specific to each country and region in which it operates. After only 18 months of operation, Umuntu has portals in nine countries, and its Namibia portal, iNamibia, is already the largest local website in Namibia. After Umuntu took off in web and mobile form, Mr Del had a vision to use it as a springboard to further tap into mobile e-commerce with the creation of the mobile site, Mimiboard, which has been live for a month. Mimiboard ('mimi' means 'I' in Swahili) is Mr Del's brainchild to deliver hyper-local content in the form of a traditional notice board. First, a mimiboard is created for a specific area. People in each community can post a notice to Mimiboard about wanting to buy or sell something, and then someone else can purchase the service posted through mimiboard. "For example," Mr Del explains, "a fisherman in Mombasa can post about his catch of the day to mimiboard, then other users in the area can go buy the fish." It uses the same technology that radio and TV stations use to feed live streams of texts from listeners and viewers and can be accessed through text, android phones, and online. Not only is mimiboard linked to the Umuntu sites of each country, but students from four big universities in Kenya have already started using Mimiboard as a platform to buy and sell textbooks - and a university dean in Canada has also inquired about using the product. Mimiboard is creating a space for local mobile notices while also creating new ways for users to earn money. The Mimiboard team has created its own currency, mimibucks, which incentivizes mobile transactions for users. In Mr Del's words: "If someone wants to sell their car through a specific mimiboard, the person who created that mimiboard will receive a micropayment for the transaction." He anticipates that Mimiboard will have a million users in the next ten months with the help of mobile bank and mobile advertising collaborations. One such collaboration of Umuntu/Mimiboard is the relationship the company has with Primedia Online, which represents Umuntu in the digital ad business. Primedia Online supplies tailored news content in portals across the southern continent, in addition to providing technology and ad business to local publishers wanting to tap into the mobile market. Primedia business development manager Susan Hansford explains that advertising on mobile phones is more competitive now amongst companies. "E-commerce shouldn't be in desktop form for Africa, I think the focused efforts on the mobile side of e-commerce will change the way business is done in this continent," she says. "It should be noted however that the mobile demographic is a little different than e-commerce on computers, which would be more middle and upper class." The mobile demographic is expanded to consist of people in small villages, and so it wouldn't make financial sense for an advertiser of high-priced consumer goods to advertise to this demographic. Ms Hansford notes that the mobile environments in Africa are better suited to financial services, citing cheap funeral insurance and student loans as some of the top mobile advertisers. Although problems arise in the mobile e-commerce world such as product delivery, Africa has made great strides in conducting business online and on handhelds. Companies like Umuntu and SlimTrader have seen the opportunity for Africa on mobiles, an opportunity unique to Africa because of the importance of business at the micro-level, and the lack of other forms of technology. As Mr Del puts it: "This type of technology we are working to develop is one that we hope will solve African problems while putting Africa on the map for innovative solutions." Most Chinese stocks rose after the nation’s home prices advanced for the first time in 10 months and manufacturing indicators beat forecasts. Poly Real Estate Group Co., the nation’s second-biggest property developer, surged 2.3 percent as data showed home prices across 100 cities increased in June. Aluminum Corp. of China Ltd. paced an advance for material stocks as speculation Europe’s debt crisis is easing bolstered the outlook for commodities demand. SAIC Motor Corp., the biggest Chinese automaker, slid 8.5 percent after the Guangzhou Daily reported that Guangzhou city will cap the number of new car purchases. Six stocks gained for every two that declined on the Shanghai Composite Index (SHCOMP), which rose less than 0.1 percent to 2,226.11 at the close. The CSI 300 Index (SHSZ300) added 0.2 percent to 2,465.24. The Bloomberg China-US 55 Index (CH55BN), the measure of the most-traded U.S.-listed Chinese companies, jumped 2.9 percent in New York on June 29. The Shanghai index plunged 6.2 percent in June, the most in Asia, on concern the government isn’t loosening monetary policy quick enough to stem a slowdown even as the central bank cut interest rates for the first time since 2008. Stocks in the measure are valued at 9.73 times estimated earnings, compared with the average of 17.6 since Bloomberg began compiling the data in 2006. China’s Purchasing Managers’ Index fell to 50.2 in June from 50.4 in May, the Beijing-based National Bureau of Statistics and China Federation of Logistics and Purchasing reported yesterday. That compares with the 49.9 median estimate in survey of 24 economists. A final PMI reading for June by HSBC Holdings Plc and Markit Economics today was better than a preliminary level published last month. The manufacturing data should provide relief to investors concerned about a “freefall” in the economy, according to Barclays Plc. The government’s efforts to stabilize growth are starting to take effect and growth will bottom in the second quarter and start improving from June, Jian Chang, Yiping Huang and Lingxiu Yang, analysts at Barclays, said in a report. Aluminum Corp. of China, the largest aluminum producer, climbed 0.7 percent to 6.21 yuan. Inner Mongolia Baotou Steel Rare-Earth Hi-Tech Co., China’s biggest producer of rare earth, jumped for a second day, rising 3.7 percent to 40.90 yuan. China’s new home prices rose for the first time in 10 months as the government eased its monetary policies to bolster the economy, according to SouFun Holdings Ltd., the nation’s biggest real estate website owner. Home prices increased 0.1 percent from May to 8,688 yuan ($1,367) per square meter, SouFun said in an e-mailed statement today, based on its survey of 100 cities. Beijing led gains among the nation’s 10 biggest cities, climbing 2.3 percent from May, followed by Shenzhen, which added 0.8 percent. Poly Real Estate (SHPROP) rose 2.3 percent to 11.60 yuan. China Vanke Co., the largest property developer, increased 0.8 percent to 8.98 yuan. Gemdale Corp. (600383) climbed 2.6 percent to 6.65 yuan. SAIC retreated 8.5 percent to 13.08 yuan, the biggest drop since Nov. 12, 2010. Great Wall Motor Co. lost 7.4 percent to 16.48 yuan. Guangzhou plans to limit the number of new passenger vehicles to ease congestion, the Guangzhou Daily reported. The one-year trial, which takes effect today, will cap the number of new cars at 120,000, the paper said, citing a government notice. Chinese stocks traded in the U.S. posted the biggest monthly gain since February as European leaders agreed to ease the region’s debt crisis. Leaders of the European Union, where China sends about 20 percent of its overseas sales, dropped requirements that taxpayers get preferred creditor status on aid to Spain’s banks and opened the way to recapitalize lenders directly. “Expectations were low before the leaders’ meeting and any type of deal that was negotiated would have been a positive surprise,” Timothy Ghriskey, chief investment officer at New York-based Solaris Group, which manages about $2 billion in assets, said in a phone interview on June 29. The iShares FTSE China 25 Index Fund, the biggest Chinese exchange-traded fund in the U.S., soared 3.6 percent on June 29, taking its advance last month to 0.5 percent. He was at centre of the Northern Rock crisis leading to accusations his exclusive story prompted an unprecedented run on the bank. Now BBC Business Editor Robert Peston is in the spotlight again today after revealing a series of stories about the Barclays market-rigging crisis. Mr Peston's stories - which could only have come from a top-level source - have diverted attention away from the bank and on to the Bank of England. They come in the aftermath of revelations that Barclays staff submitted false numbers to the inter-bank lending rate in a bid to improve the bank's borrowing position during the heart of the 2008 financial crisis. 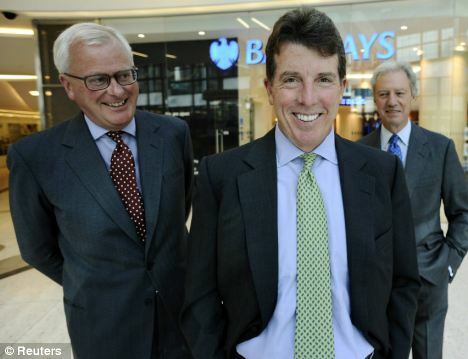 The financial news journalist yesterday revealed that Barclays staff apparently made the lower Libor submissions after a telephone call between the Bank of England deputy governor Paul Tucker and Bob Diamond in 2008. His story effectively turned attention on the Bank of England at a critical time for Barclays as pressure grew on Bob Diamond to resign. Later he was first with news of the resignation of Barclays chairman Marcus Agius, in a move that was hoped to reduce pressure on Mr Diamond to quit. Questions may yet be asked about the timings of such stories. 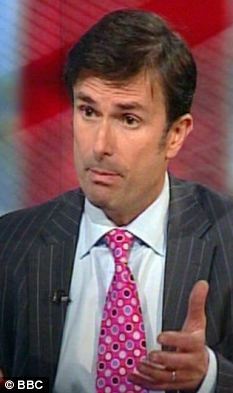 In September 2007, Mr Peston broke news of Northern Rock's application to the Bank of England for financial support. The report was blamed for a run on the bank in which customers queued to pull their money out. Mr Peston has previously been described as a 'market menace' after his reporting of a private meeting between then Chancellor Alistair Darling and bank leaders at the height of the 2008 financial crisis preceded a huge crash in share prices. RBS saw 10bn - 40 per cent of its value - wiped off its shares in October of that year. As a result of alleged Treasury leaks, Tory MP Greg Hands asked the Serious Fraud Office to investigate alleged 'fraudulent behaviour' at the heart of Government. The following year, commentators questioned whether Mr Peston was a Government stooge when he reported on the value of RBS boss Fred Goodwin's pension. The story overshadowed the news that state-backed RBS had made the biggest corporate loss in UK history - 24bn, putting the spotlight on the company's management rather than ministers. I never hear what he says,because I am too engrossed in listening to the peculiar way he says the things I am not listening to. geosbe, Ashamed to having to admit that I am English, 02/7/2012 21:24 Well go and live somewhere else. Linda, Croydon. Here is a story about a reporter who is obviously good at his job and who breaks a big story about the ongoing bank scandal, yet you turn it into a criticism of the BBC and how it doesn't deserve public support. Is someone paying you for this obvious anti-Beeb propaganda? Sadly his Breaking News interview on BBC News made him sound like a cheap gossip. Clearly he has people in senior positions whistleblowing these bunch of bankers. Good for him. I beleive Mr Peston's father is in the House of Lords so you can imagine the contacts and inside knowledge people in those circles have besides a BBC journalist being privy to scoops themselves from various sources eager to get certain facts into the public domain. STAR reporter ? he has the charisma of a wet rag & an embarrassment to listen to.Even expensive elecution lessons have been to no avail - geosbe, Ashamed to having to admit that I am English, 02/7/2012 21:24 He has a mild speech impediment and so do I. I find your comment offensive. What surprises me is that the media hasn't reported on this whole sordid story earlier. Everything that's been reported the last few days have been common knowledge in the City for years. Commercial Banks, the BofE and various governments. It's an unholy mess that shows us what these institutions stand for. If journalists writing about economy claim not to have known, they should be fired on the spot. HTC names Mike Woodward president of North American business - YAHOO! BELLEVUE, Wash. — July 2, 2012 — HTC Corporation, a global leader in mobile innovation and design, today announced that Mike Woodward has joined as the new president of North America, effective immediately. The role, which is responsible for HTC’s sales, marketing and operations for the United States and Canada, reports to Jason Mackenzie, the president of global sales and marketing at HTC. Before joining HTC, Woodward held a succession of positions with AT&T, formerly Cingular and AT&T Wireless, concluding with vice president, consumer wireless device and accessory portfolio. Woodward has also held positions at PacketVideo and Motorola and as an intelligence officer for the U.S. Navy. Woodward has a bachelor of science in business administration from the University of Arizona, an MBA from Chapman University’s George L. Argyros School of Business and Economics, and completed an executive strategic marketing management program at Stanford University’s Graduate School of Business. Woodward is based in HTC’s North American headquarters in Bellevue, Wash.
NEW YORK (AP) -- For all the scary headlines -- a bailout of Spanish banks, JPMorgan's huge trading loss, the sputtering job market, Facebook's failed initial public offering -- it's a wonder stocks aren't down more this year. Actually, stocks aren't down. That was a trick sentence. At the halfway mark for 2012, stocks are up more than 8 percent. "People think we're down because memories are short," says Rex Macey, chief investment officer at Wilmington Trust Investment Advisors. "It feels like the market's been worse than it actually has." The year began with investors focusing on corporate America's record profits and scooping up stocks. The Standard & Poor's 500 index surged 12 percent from January through March. It looked like that gain might be wiped out in the second quarter. Investors worried about Europe's inability to find a lasting solution to its debt crisis and about slower job growth in the United States. Then came Friday: European leaders announced a broad strategy to funnel money into failing banks and keep borrowing costs down for governments, and stocks soared around the world. What happens next will probably depend on corporate earnings again. For April through June, they are expected to fall 0.7 percent from a year ago, according to S&P Capital IQ, a research firm. That would be the first drop in nearly three years. So far, though, stocks in the U.S. are trouncing those in many countries. European markets are nearly all down this year, and several are down more than 10 percent. And many big emerging markets are struggling. China is down 1 percent, Russia 7 percent and Brazil 14 percent. The backdrop is a darkening economic picture. China's economy is slowing, consumer confidence in the U.S. has sunk for four straight months, and a report next Friday is expected to show a fourth straight month of weak job growth. As if that weren't bad enough, U.S. companies, from retailers to consumer goods makers to technology firms, are talking down investor expectations for how much they'll earn over the next several months, and that is sinking their stocks. In mid-June, defense contractor AAR dropped 11 percent after cutting its outlook. Then Philip Morris fell 3 percent after it trimmed earnings estimates. Ryder System, a truck leasing company, reined in guidance last week and fell 13 percent. Then there's the sorry case of Bed Bath & Beyond, which had been an investor favorite. It lowered earnings estimates June 21 and disclosed it had to give out more coupons to get people to shop. The stock plummeted 17 percent, erasing in hours most of what it gained over several months. Tally them up, and for every company raising its expected earnings, nearly four are lowering them, according to Thomson Reuters, a financial information company. Projections haven't been that negative in more than a decade. "We began the year thinking we'd achieved escape velocity," says Barry Knapp, chief U.S. equity strategist at Barclays Capital. "But the second quarter data has deteriorated." Well, not all of it. The price of gasoline has dropped to a five-month low, which means Americans have more money to spend elsewhere and boost the economy. And the housing market may finally be recovering. Prices of homes in most major cities rose in April, the latest month for which data are available, and the trend may continue. People have been signing contracts to buy existing homes at the fastest pace in two years, encouraged by low mortgage rates. The average rate on a 30-year fixed mortgage has fallen to 3.66 percent, the lowest on record. James Paulsen, chief investment strategist at Wells Capital Management, says falling gas prices and mortgage rates have kick-started economic growth in the second halves of the previous two years, and he thinks they will this time, too. He thinks the S&P 500 could end 2012 at 1,500, up 19 percent for the year. It closed Friday at 1,362. If the worst of Europe's debt crisis is indeed over, Paulsen's target doesn't seem so bullish. But stocks have rallied on hopes of a permanent fix before, only to be dashed on news of rising Italian borrowing costs, scary Greek elections and teetering Spanish banks. And you can't rule out the occasional unhappy surprise at home, either. On May 10, for instance, JPMorgan Chase announced that it had lost at least $2 billion on a complex derivatives bet. A little more than a week later, Facebook's debut on the public markets was marred by technical glitches, a delayed open and a sinking stock price. "You can't build wealth without volatility," says Doug Cote, chief market strategist for ING Investment Management, who says he's been buying stocks. He calls dips in the prices lately "an extraordinary opportunity." What's got the bulls excited is that stocks look cheap relative to their earnings, at least by some calculations. The gauge used is called a price-earnings ratio, which you get by dividing a company's stock price by what Wall Street analysts expect the company to earn per share over the next 12 months. Do that for all 500 companies in the S&P index, and you get 12, according to FactSet, a research firm. That is lower than the 10-year average of 14.6, meaning stocks may be cheap and you should buy. Or to paraphrase Warren Buffett, you should get greedy when investors are fearful. The problem is, P/E ratios are just a rough measure of the stock value, and the math can be misleading. Some analysts like to compare the current S&P 500 P/E ratio with the average going back further, say 35 years. Over that period, stocks have traded at 12.9 times expected earnings, said David Kostin, a strategist at Goldman Sachs, suggesting stocks now are not so cheap after all. Plus, Wall Street estimates for earnings could be too high. For the October-December period, for instance, analysts think earnings will increase by more than 14.4 percent. The average quarterly increase the past 25 years is 8 percent. And the analysts have been cutting estimates recently. Kostin thinks they'll have to cut a lot more. He says investors expecting an earnings rebound this year will be disappointed. He thinks the S&P 500 might fall 8 percent from here. The shift comes even as banks consider deeper staff cuts here, which could undermine the state and city tax base long term. “Places like New York or London will remain financial centers, but most of the players are taking a much harder look and asking whether they can move large numbers of jobs,” said James Malick, a partner at the Boston Consulting Group who advises banks on relocation. In addition to higher taxes in the New York region, employers face real estate and labor costs significantly above the national average. Consultants say they have seen a sharp pickup in this trend, known as near-shoring, as opposed to offshoring overseas. Goldman Sachs, during a presentation to investors in late May, even boasted of the cost savings that relocating jobs can bring. “Some functions need to stay in the United States, but they don’t need to be in New York City or near the client,” Mr. Malick said. And with most investment giants facing anemic revenue and more stringent regulation that cuts into trading revenues, relocation is more tempting than it was before the financial crisis. Low-level jobs have already migrated to call centers and back offices overseas, while top-end traders and bankers are secure in the New York area, experts say. Instead, services like accounting, trading and legal support, and human resources and compliance are being shifted to places like Salt Lake City, North Carolina and Jacksonville, Fla.
Garry Douyon enjoyed his job helping process trades and working with clients and traders at RBS in Stamford, Conn., earning nearly $100,000 a year, but when the firm decided last fall to move his team to Salt Lake City with a salary of $60,000, he said he really didn’t have much of a choice. “I didn’t even consider moving,” said Mr. Douyon, who founded a biofuels company, All-City Clean Energy, in Brooklyn with four partners. “I liked RBS but I have my roots here, I have a home, I have kids in school.” A few members of his team decided to go, he added, but most chose to stay in the New York area. The potential shift has profound implications for New York’s tax base and economy because of Wall Street’s outsize financial profile. Last year, the industry contributed 14 percent of New York State’s tax revenue. After peaking at 213,000 in August 2007, securities industry jobs in the state fell more than 15 percent in the wake of the financial crisis, according to the Bureau of Labor Statistics. Since then they have risen nearly 12,000, but at 191,200, employment is well below pre-crisis levels. By contrast, over the same period, Delaware gained 1,300 securities jobs while Arizona picked up 2,600. The federal government does not specifically track securities jobs in Utah, North Carolina or Florida, popular locations for near-shoring. But data from firms illustrates the trend. Since the end of 2009, Deutsche Bank’s work force in the New York area has fallen to 6,900 from 7,400 even as its staff in Jacksonville rose to 1,000 from 600. Credit Suisse’s staff in the New York region has dropped by 500 in the past four years, but the firm has added 450 positions in North Carolina’s Research Triangle, in the area of Raleigh, Cary, Durham and Chapel Hill. And last year, Bank of New York Mellon cut 350 jobs in New York City while hiring 150 people in Lake Mary, Fla.
New York’s status as a financial capital is not likely to fade, and the state’s share of securities jobs in the United States has held steady at about 24 percent in recent years. “Even as the securities industry goes through a difficult time, New York remains the financial capital of the world and I don’t see that changing anytime soon,” said Thomas P. DiNapoli, the New York State comptroller. J. Keith Crisco, the North Carolina secretary of commerce, visits New York three to five times a year, meeting with executives from firms already in North Carolina, like Credit Suisse, while reaching out to prospects. Another trip is planned this month. North Carolina provided Credit Suisse with roughly $14 million in incentives to bring it to the state. Delaware, which announced in April it had lured up to 1,200 JPMorgan Chase jobs to the state, is set to pay the giant bank $10.1 million in cash incentives. Alan Levin, director of the Delaware Economic Development Office, estimates the typical salary for those jobs at $78,000 a year. The erosion of middle-tier jobs in the financial sector is not limited to New York. In a presentation to analysts in late May, the president of Goldman Sachs, Gary Cohn, described what he called the firm’s “high-value location strategy.” By looking outside hubs like New York, London, Tokyo and Hong Kong, he said, the firm could save 40 percent to 75 percent on job-related expenses. Over a third of Goldman hires in 2011 and 2012 have been in cities like Bangalore in India, Salt Lake City, Dallas and Singapore, Mr. Cohn said. Utah, with looser regulation and lower taxes than New York, has been a particular area of growth for Goldman. While Goldman’s work force in the New York area has been flat since the end of 2009 at just over 10,000, full-time employees in Salt Lake City have doubled to 1,400, making that office Goldman’s sixth-largest globally. In addition to its technology and operations staff, Goldman has expanded activities like research and investment management there. These days, Mr. Douyon is building a refinery at the Brooklyn Navy Yard that aims to make biodiesel from waste products like vegetable oil and grease from restaurants. While he says it is a more flexible way of life and, he hopes, more lucrative, he still feels the tug of the trading floor. “To be honest, I miss working on Wall Street,” he said.